Journal of Captain W.F. Raynolds, United States Army, Corp of Engineers. First edition. 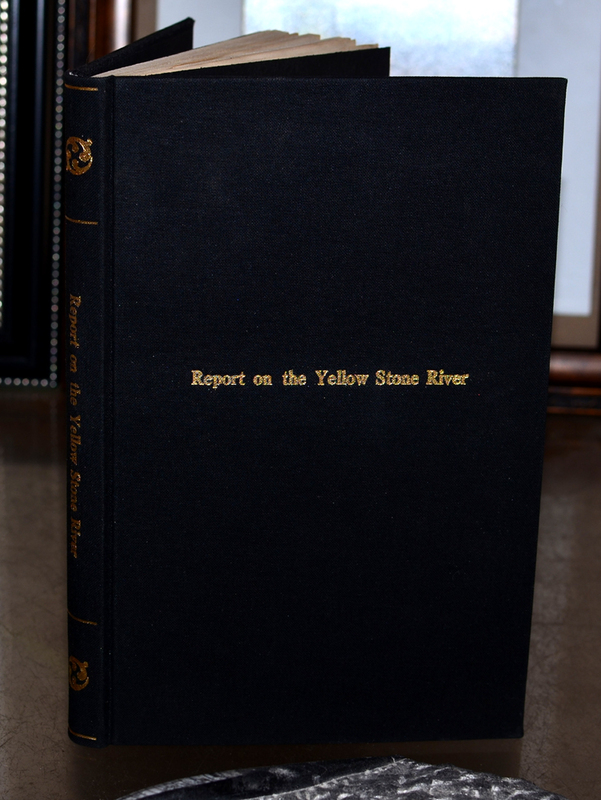 174 pages, with large folding map entitled, "Map of the Yellowstone and Missouri Rivers and Their Tributaries." 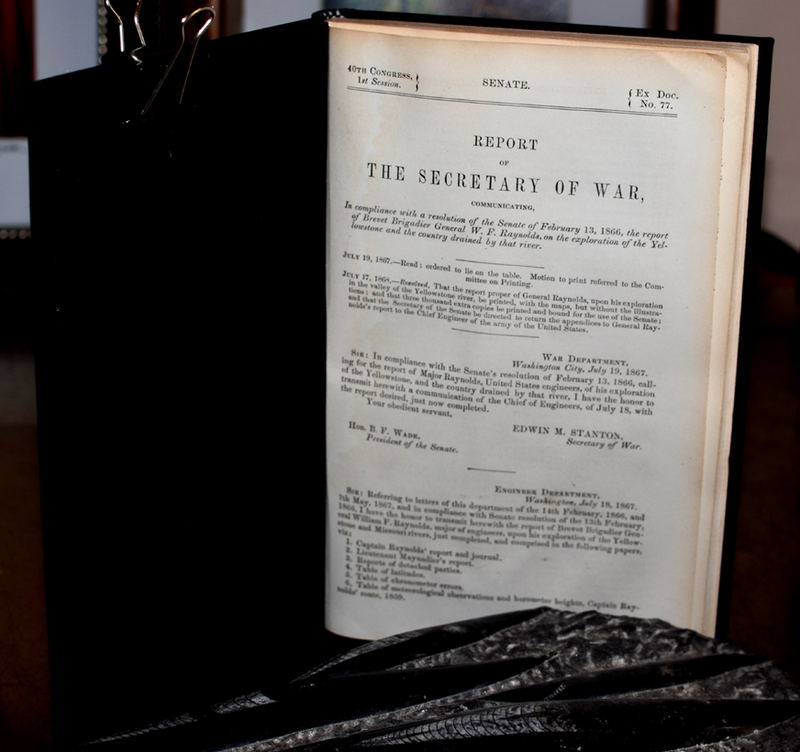 U.S. War Department issue. 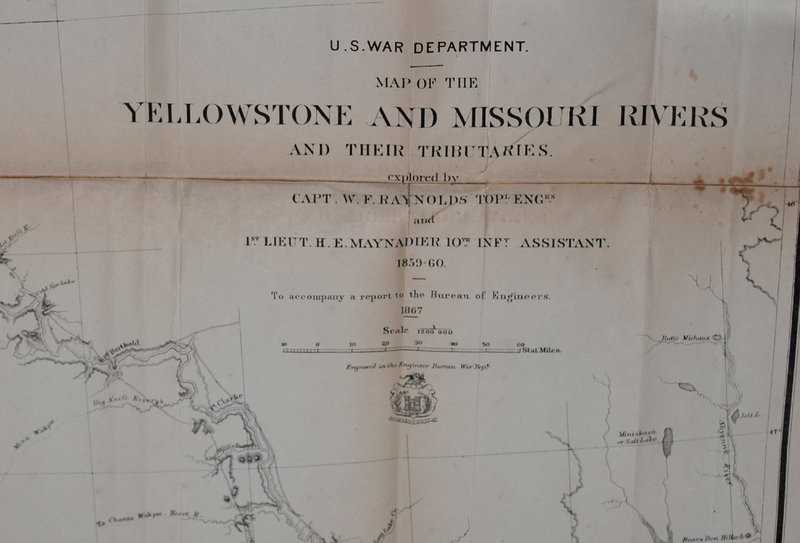 Map of the Yellowstone and Missouri Rivers and Their Territories, explored by Capt. W.F. Raynolds, Topographical Engineer and 1st Lieutenant H.A. Maynadier, 10th Infantry, Assistant. 1859-1860. To Accompany a Report to the Bureau of Engineers, 1867. Engraved in the Engineering Bureau. Dimensions of map: 42 inches by 29 inches. Condition: very good; some conservation reinforcement to back of hinges; some conservation work to tears on back of map; use of neutral pH archival materials. 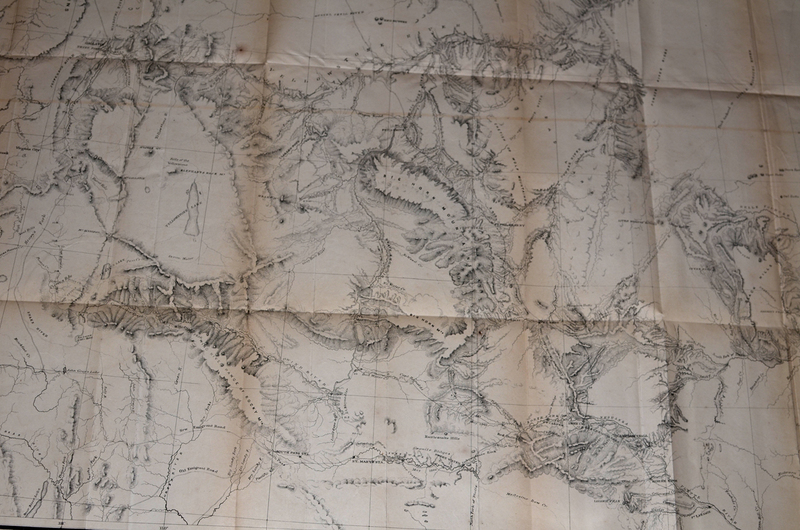 Some darkening of paper at hinges; however, overall map is in bright, clean condition with sharp and concise detail. 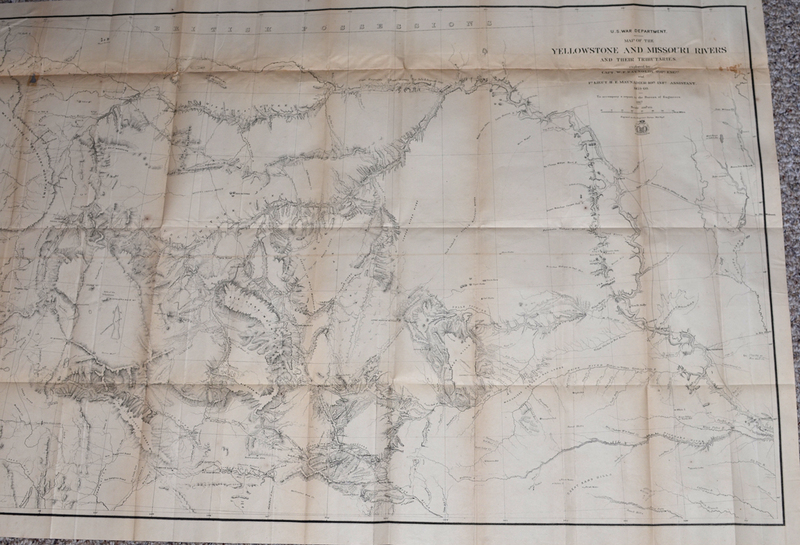 This map was considered one of the most significant published up to the date for any travelers or settlers desiring to migrate to the northwest territories. 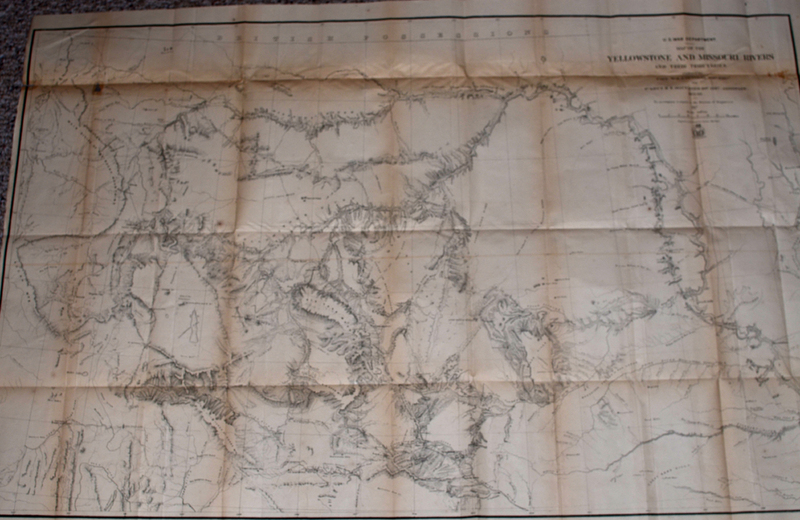 Topographical details and locations include: Black Hills; Big Horn Mountains; Chetish or Wolf Mountains; Judith Mountains; Belt Mountains; Red Buttes; Fort C.F. 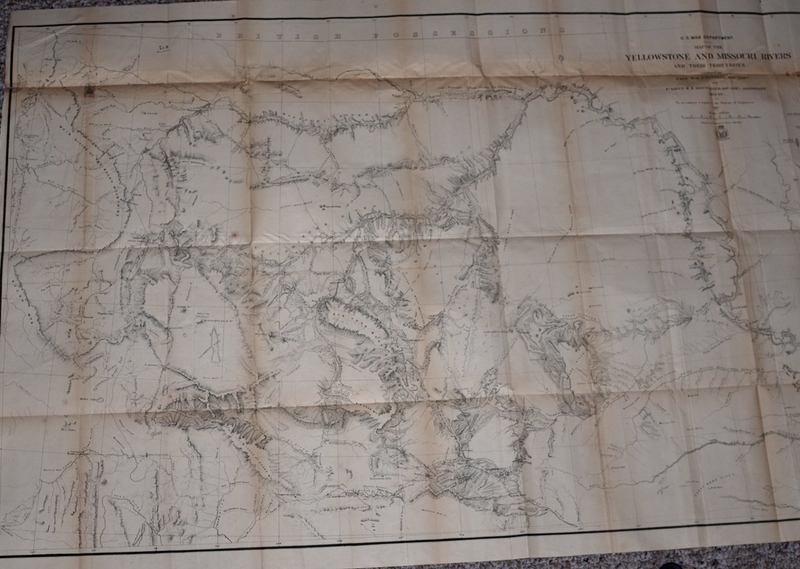 Smith; Yellowstone Lake; South Pass Station; Powder River; Ft. Phil Kearny; Yellowstone River; Missouri River; and numerous others. Original report has been extracted and rebound in black cloth with gold print on cover and spine; overall, in very good plus condition.